Summer always puts us in an extra ‘Merica mood. And with 4th of July just around the corner, we thought now would be the perfect time to spread some red, white and Hoo love. Now’s your chance to get one of our best selling Hoos for free – in time for all your summer shenanigans! 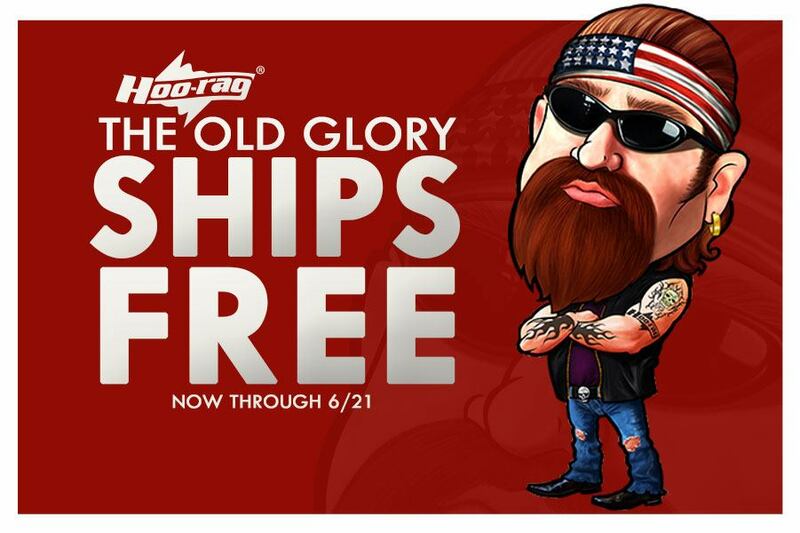 Any order of $29.95+ at www.hoorag.com from now through 6/21 will get a FREE Old Glory Hoo-rag. No need to enter a coupon code – we will automatically include the Old Glory in all orders of $29.95+. Do not put the Old Glory in your shopping cart unless you would like to purchase one in addition to the promotional offer. Promotion valid Wednesday, 6/17 9 a.m. EST thru Sunday, 6/21 11:59 p.m. EST. Not retroactive. If you have ordered before today, you are not eligible for this promotion. Have questions about ordering? Give us a call at 888-831-9344 from 9 a.m. – 5 p.m. EST Monday through Friday. Previous post: Licensed USMC Hoo-rags back for a limited time only!